Prestwick Country Club is a great golf experience for the Myrtle Beach golf visitor. 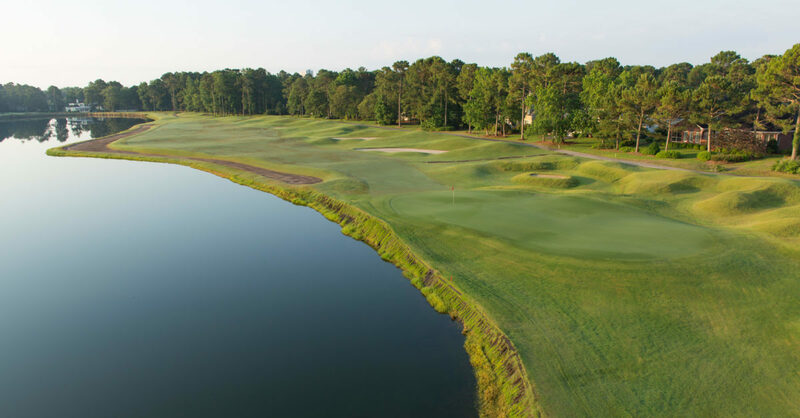 Dense forests of pine are paired with sandy waste areas for a contrast of perfection at Prestwick Country Club in Myrtle Beach, South Carolina. Creating elevations with dune-like berms, stairway bunkers and deep bulkhead protected greens meant moving over 1.3 million cubic yards of earth. In the end, the product was well worth it. Streams wander between the holes surrounded by framing lakes and generous landing areas. This Dye masterpiece located a stone’s throw from the ocean in Myrtle Beach. Six sets of golf tees are available for golfers of all skill levels. The greens are known by locals as begin fast and consistent. A great mix of holes await, with island-like par 3s, and unique par 5s. The finishing holes on both nines, highlighted by a massive lake and clubhouse backdrop, are a memory waited to be experienced. Voted “5 Best Kept Secret Courses In America” by Golf Digest.